Want a professional gaming website to showcase your league? Let us build a Select League for you! SelectLeague, a US-based client project was to create a website for gaming to showcase your leagues with scores & standings. The idea to build this exclusive social networking style website involves bringing users & fans on one platform. With an ambition of making a networking platform, the team at ChicMic created a product to connect with the different users. This E-commerce website is not less than a fantasy league that gives users a competitive reality game social platform to start your team & get followers. 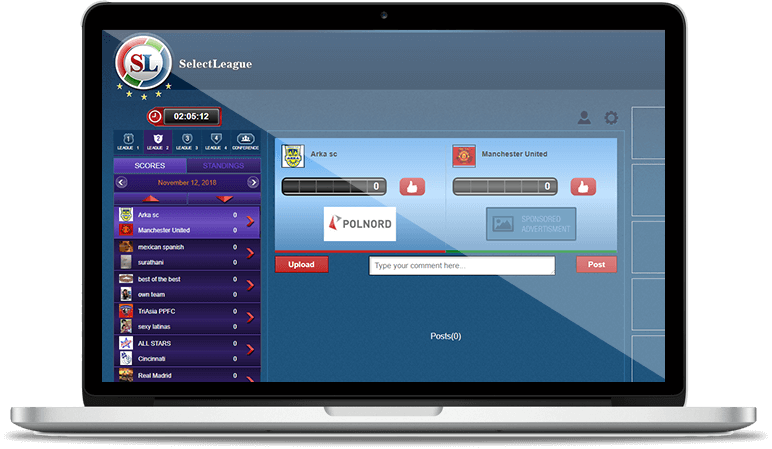 SelectLeague is not limited to Sports, it covers everything you think of. This amazingly built website enables the users to begin your own Real Franchise Brand. The ease to create Profiles helps Teams in SelectLeague to exhibit their interest & likings via ideas, photos & views. To engage the teams creatively, the competition is set between the teams in the same league as per the rankings. 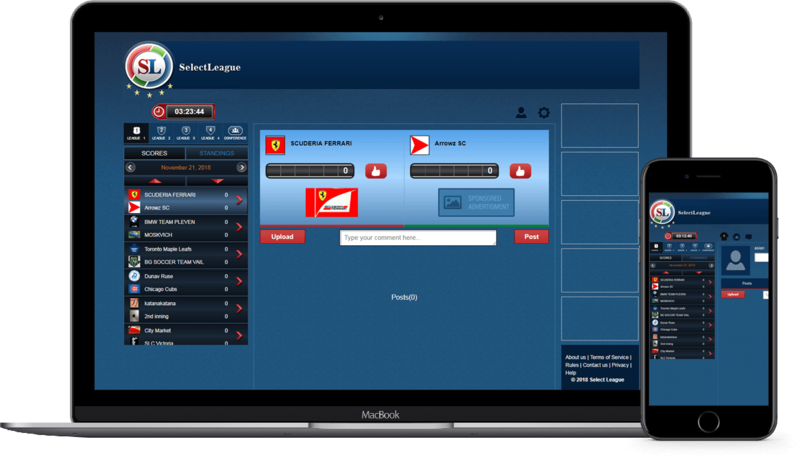 The free version comes with a limitation of 1 vote a day, but the user can shop for 2 to 5 votes by obtaining the full version of SelectLeague. Playoffs are played in L1, L2, L3 and L4, but not in the Conference League. Playoffs determine the Champion of the particular League and the Teams that will shift to the superior League, but Playoffs don’t have any effect on the point calculation for the regular season Standings. The teams bound for the Playoffs are highlighted in golden color and the Playoffs are played as follows: (i) for the months with 31 days (as there are 4 extra days after the 27 days of the “regular” Season) – Day 28 – Round of 16, Day 29 – Quarter-finals, Day 30 – Semi-finals and Day 31 – Final. In the “Round of 16” Team1 will play with Team16, T2-T15, T3-T14, T4-T13, etc. The same for the next rounds the team with the best ranking plays the team with the lowest and so forth. The best 8 teams (those that qualify for the Quarter-finals) will advance for the next superior League for the next Season; (ii) for the months with 30 days (as there are only 3 extra days) there will be no “Round of 16”, but only Quarter-finals, Semi-finals and Final; (iii) for the months with 29 days – Semi-finals and Final; (iv) for the months with 28 days there will be only final, still 8 teams advance to the next superior League (the 2 finalists + the 3rd-8th place teams during the regular Season). If two teams tie in a Playoff game, the team that ranked better in the regular Season wins. A team name & team colour can be selected as per the user’s choice.